I have a problem with the expression “Have a great day” and so should you. While it’s safe to say the intent of the expression is not meant to be malicious in any way, adhering to this advice can indeed harm your productivity. Specifically it’s the “have” part I take issue with. The definition of have is to possess, own, or hold. 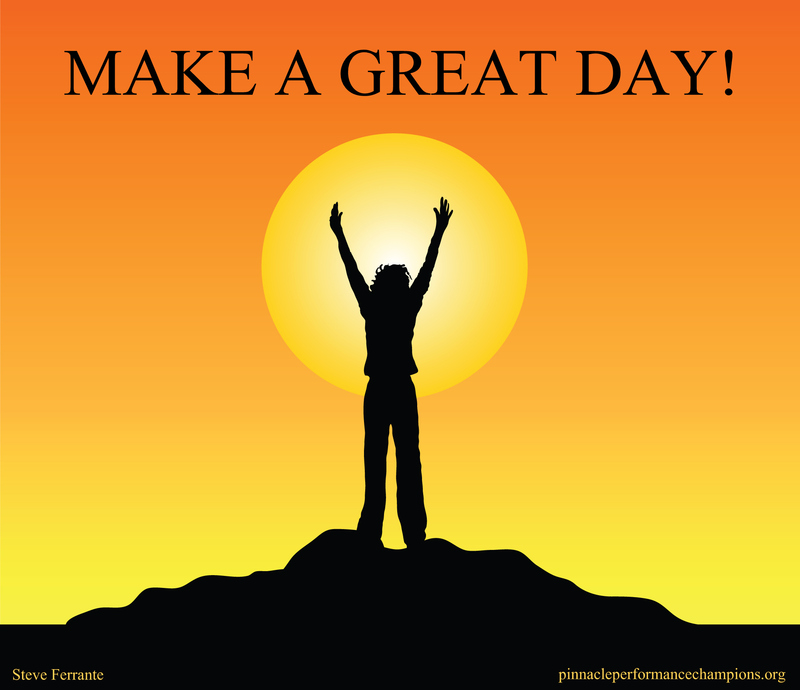 “Have a great day” is passive and implies that this “great day” is already there… you just need to have it. One does not simply have a great sandwich… it must be made first. The same is true of a great day. It does not somehow appear… it is created. Have a great day is well received by those reactive folks who are waiting for success to happen. Some days they end up in the right place at the right time and Presto! they have a great day. Success Doesn’t Come To You, You Go To It. Make a Great Day is for proactive performers that truly understand this, take charge of their actions and control their destiny. They create success… they create great days. If you’re in sales, customer service or a progressive professional in general, Make a Great Day is some of the best advice I can give you. If you’re a manager, I encourage you to instill this winning attitude in your team members.